Is your ERP solution delivering a return on investment? Or has it run its course and provided good value for when it was implemented, but is now showing its age? Technology is evolving at lightening speeds, and that doesn’t mean you need to change system designs every year. We are at a place in IT history where your software should be adding value to your business. Are you of the mindset that it is a cost center, or an asset adding to the bottom line? 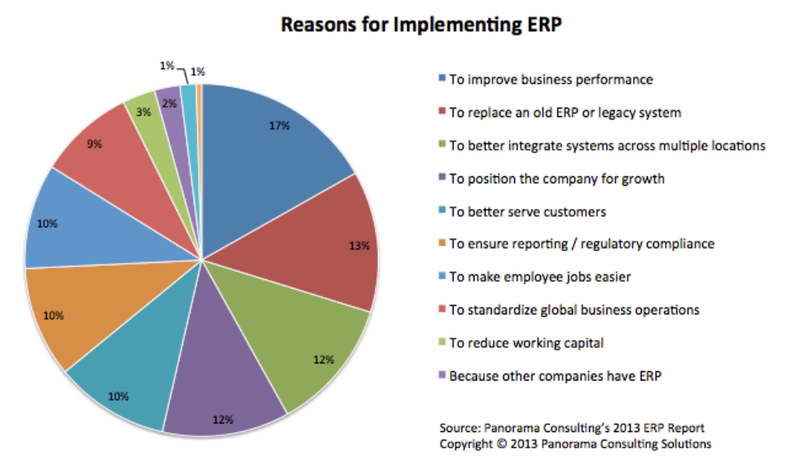 What are the measureable benefits of an ERP solution? Consider the Business Benefits Plan – understand where you are today, your challenges, and the cost of your shortcomings – and measure that against the expected benefits of new systems. Sounds simple, but in fact this is rarely done. Most businesses replace current systems based on vendor reputation, sales person likability/relationship, or a mere justification to replace “older” technology with no business case for it. There are three key areas of examination; Usability, Functionality, and Scalability. Utilize best practices and workflows. Efficient use of time to understand your business: its inventory, supplier or vendor requests/needs, its profitability, its market place opportunities, etc. How do we measure this? The ability to share and integrate data/systems: a single source of truth is never more accurate as opposed to spreadsheet chaos. Ever enter a meeting where there were competing spreadsheets? Why reinvent the wheel? Business systems are in place to add value and save time. It sometimes comes as a matter of trust. My spreadsheet is my bible, but today’s systems with full audit abilities and import and export capabilities save time, money, and provides peace of mind that everyone has the same results and details. With today’s abilities to develop software and model business processes, we are at a crossroads were we can now add social capabilities into the data mix and develop strategies to maximize the use of expenditures and increase profitability. Entry level systems were designed for just that! With today’s advancements, businesses are growing and have the capabilities to do more with less. Owner’s demand it, lean is in! As the new way of doing business becomes main stream – think “cloud”, the idea of adding or reducing resources is an option to match your business cycle. As businesses change, grow, merge, and adapt, the IT infrastructure needs to follow. Being able to use IT as an operational costs strengthens the direct costs to the bottom line and cost of goods sold. By comparing midmarket organizations that are implemented on a newer version of ERP software to those on older versions, it becomes clear that upgrades lead to more functional, usable, and scalable solutions. It really comes down to the bottom line. If organizations are afraid that changes will disrupt the business, they should consider the positive side of the update path. Research has shown that organizations that are on newer version of their ERP software report greater benefits as a result of their solution in a variety of key performance indicators when compared to organizations on older versions. These include metrics such as scheduling, inventory control, the length of time for business processes, and delivery time of products or services. These improvements are also recorded on the bottom line, as on newer versions of their ERP software report reduction in operational costs. Factoring all the evidence, organizations that upgrade receive a solution that is functional, easy to use, scalable, and compatible with the newest advances, these improvements provide a persuasive case for examining newer technology and implementing a current ERP solution. In Randy’s role of Account Executive he is responsible for educating prospects and customers alike on ERP and CRM best practices as they go through their journey of finding a solution that best addresses their organizations challenges. With years of ERP and accounting experience, Randy is able to offer clients valuable insight and knowledge.